New kids on the block and boutique developers GoodHertz have just announced AAX support for their plug-ins including their Faraday Limiter which they describe as a peak limiter with a big transformer sound and even better news is that it is free at the moment. So check it out and let us know what you think of it. Named after the inventor of the electrical transformer, Faraday Limiter’s analog-modeled input/output transformers are responsible for its beefy, harmonically-rich sound. The limiter circuit is smooth yet lively — it can pump faster and further than any limiter we’ve ever heard while retaining its characteristic punch and warmth. 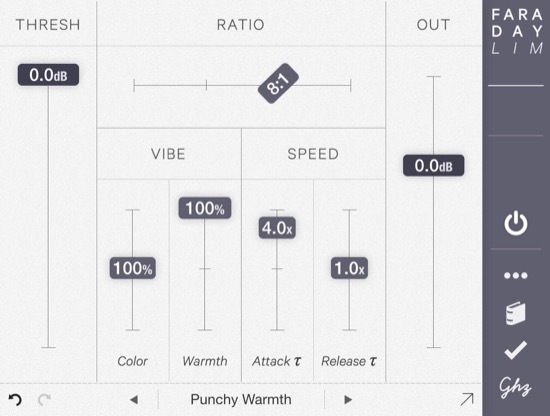 Faraday Limiter sounds great on buses, individual instruments, vocals, dialog, etc. and allows for a level of timbral shaping and tonal coloration that can’t be achieved with any other dynamics processor.